G-DRIVE Mobile external hard drives are often use to back up data but it is always advisable to do an additional back up just in case something goes wrong. But, if you haven’t got a second back up, Creative IT can help you retrieve your data whatever the problem. 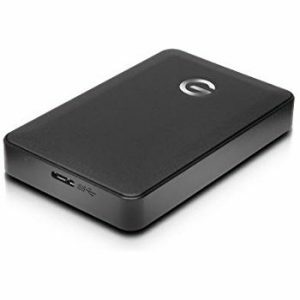 G Technology™ external hard drives allow users to store a huge amount of data including photos, videos and documents. Their G-DRIVE Mobile external hard drive comes in a range of capacity including 1TB, 2TB and 4TB and is formatted to complement Apple computers, Apple Time Machine and Apple FileVault. Unfortunately, even if G-DRIVES are highest quality products, the fact that they are made of moving parts means that they can break and create difficulties when trying to open files. We offer assistance for all failures and aim to give you a diagnostic within the hour of dropping the G-DRIVE Mobile external hard drive in our data recovery centre, while you wait. For same day and cost-effective data recovery services for G-DRIVE Mobile external hard drives, you can trust Creative IT. Our team is highly trained in the latest data recovery technological advances and understands the impact data loss has on business or everyday life. We have all the necessary skills and equipment to ensure the successful recovery of your information, photos, videos, documents or music stored on your G-DRIVE Mobile. Take advantage of our walk-in service and get an evaluation on your data recovery needs without delay.